Absolutely gorgeous Early Victorian ogee mirror. 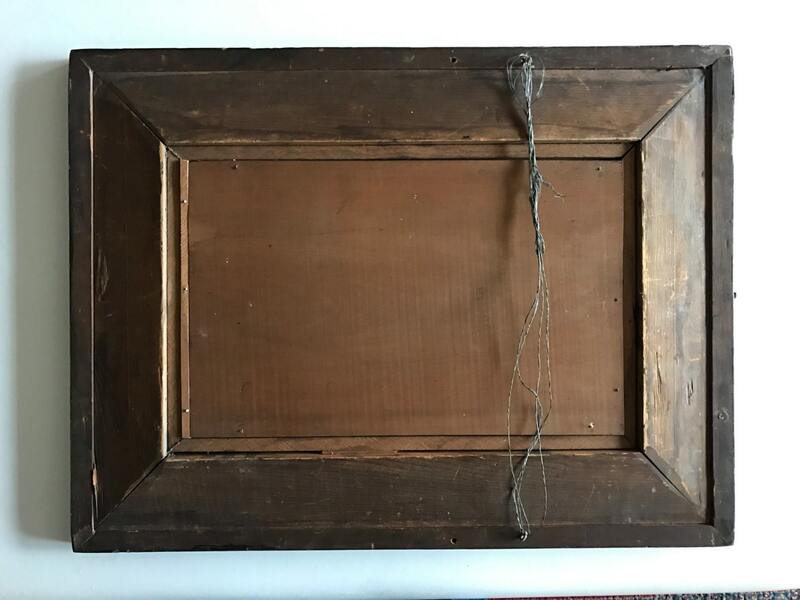 This is probably made in New England 1860-1870. 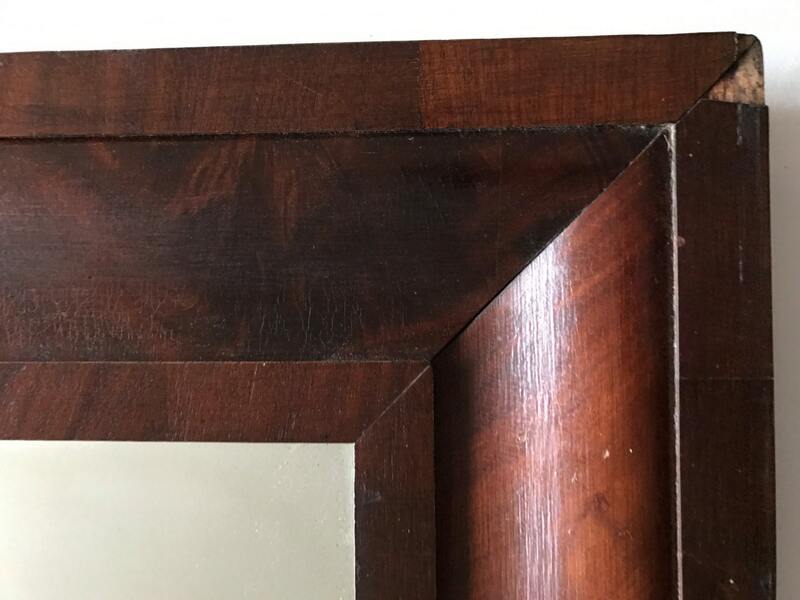 Outstanding hard to find piece with a few nicks at the corners to the veneer. Overall condition is outstanding with an incredible finish. 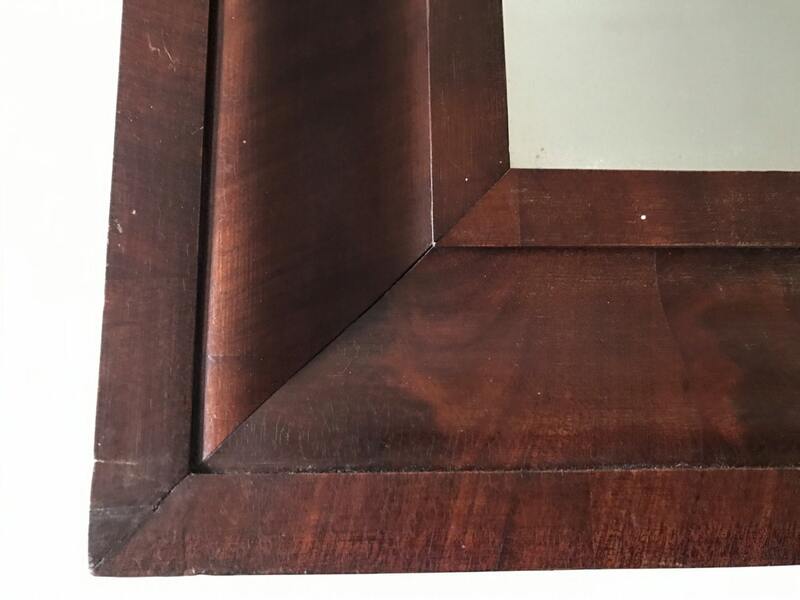 Mahogany is a deep rich cherry red with areas of marbling and birds-eye. I'll hate to see this one go! 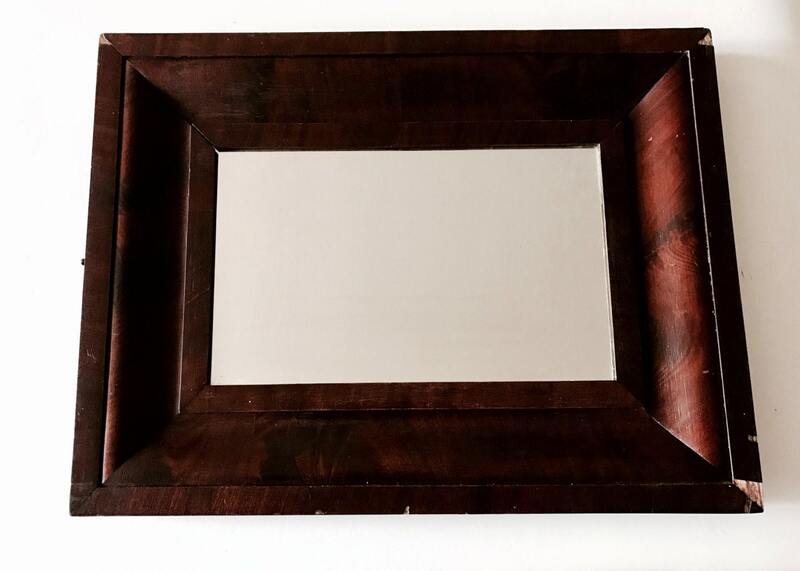 A seminal piece of furniture with a nice small medium size making it perfect for a small bedroom, bathroom, or anywhere where a mirror is needed. 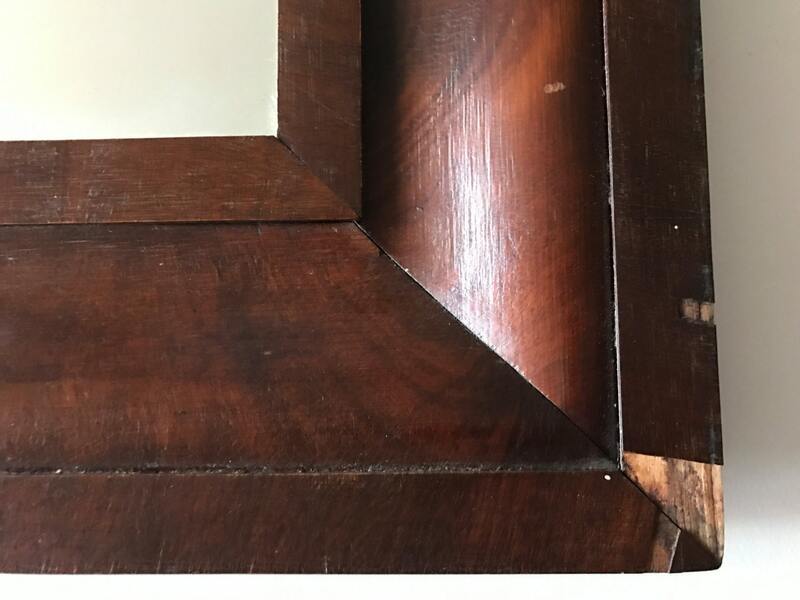 It has an aging wood back. Lightweight and easy to hang. Wall ready. Additional photos are available..just ask. Price is firm. Dimensions: About 19" x 25" (with a 4.5" frame).